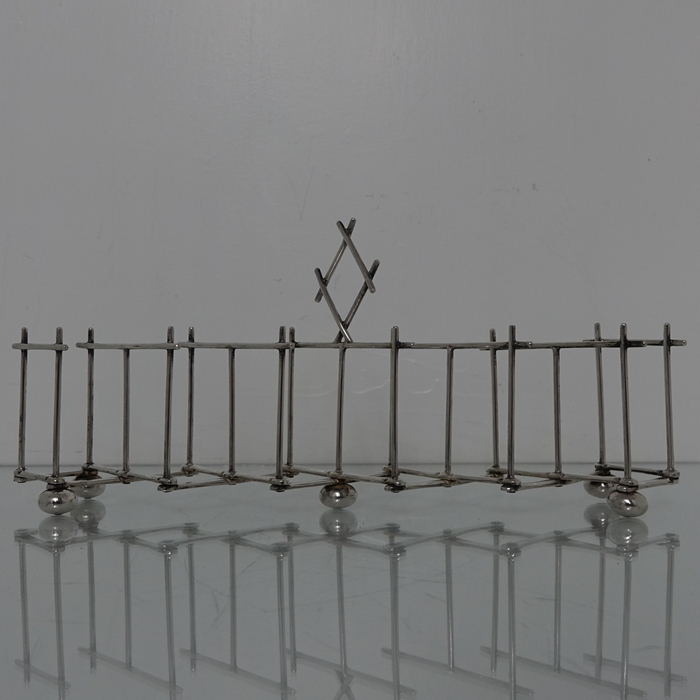 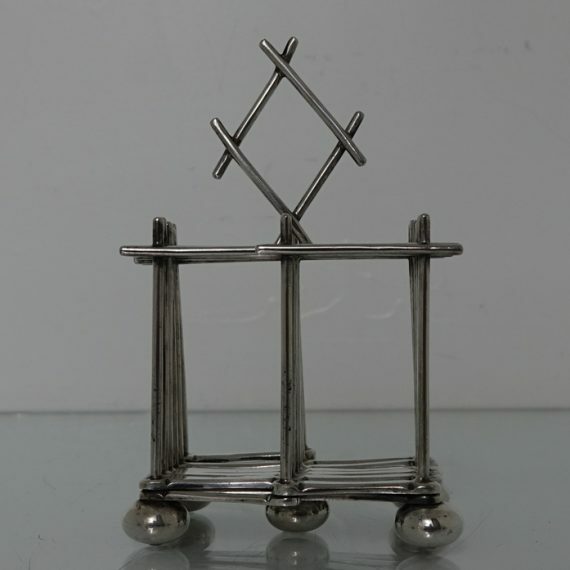 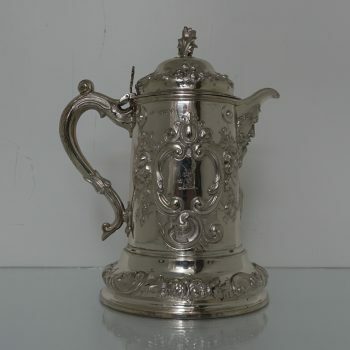 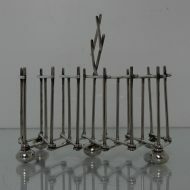 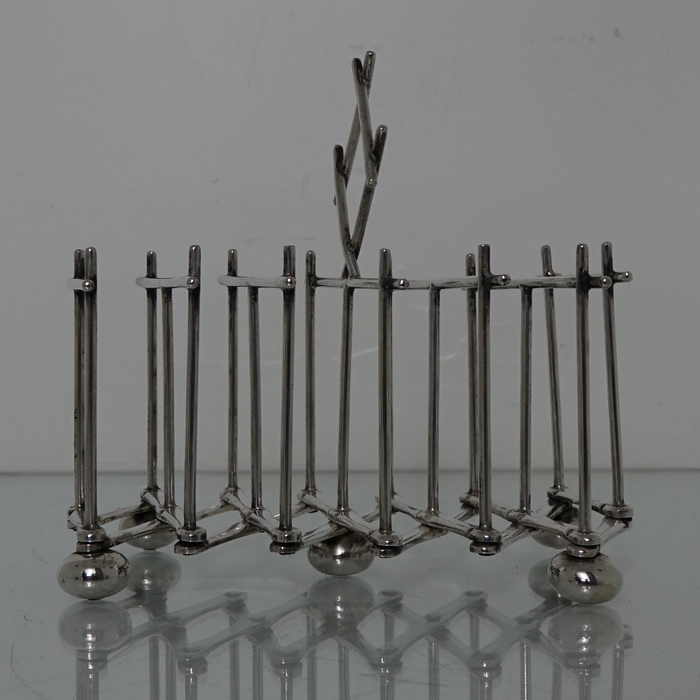 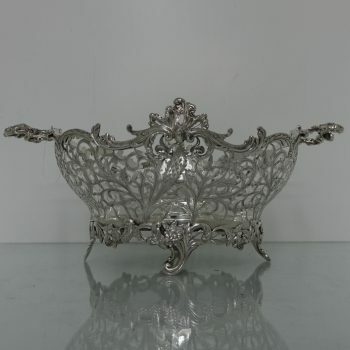 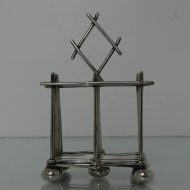 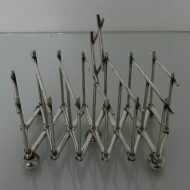 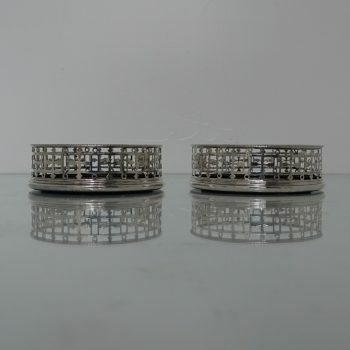 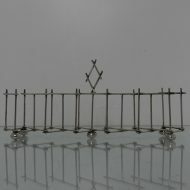 A very rare silver-plate extendable toast rack stylishly designed with a beautiful lattice designed diamond shaped handle. 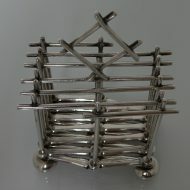 A very rare silver-plate extendable toast rack stylishly designed with a beautiful lattice designed diamond shaped handle. 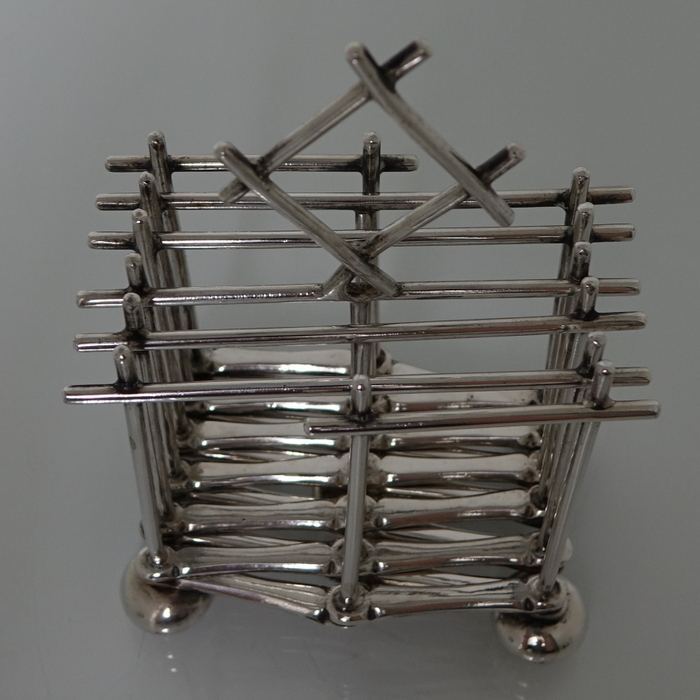 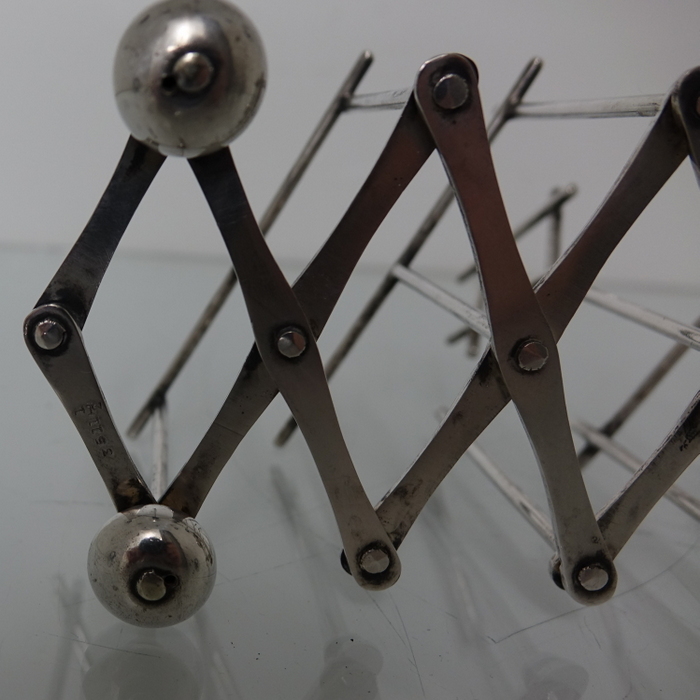 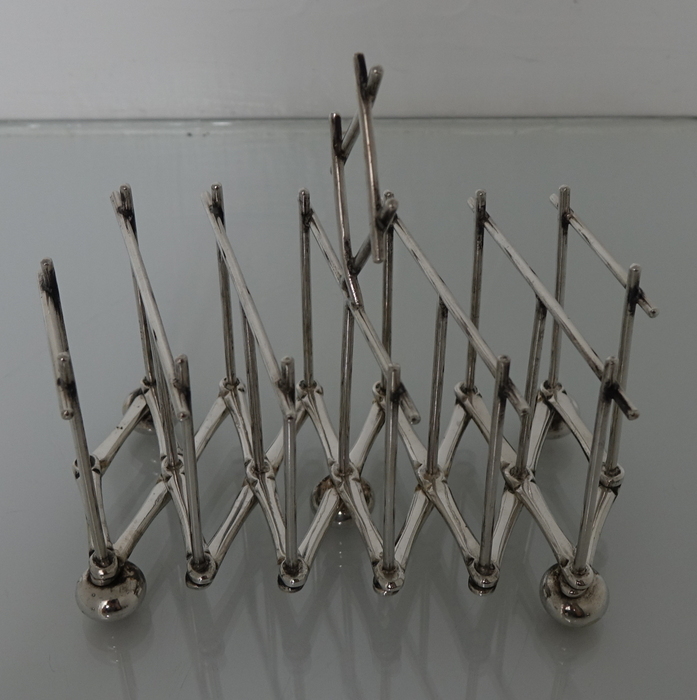 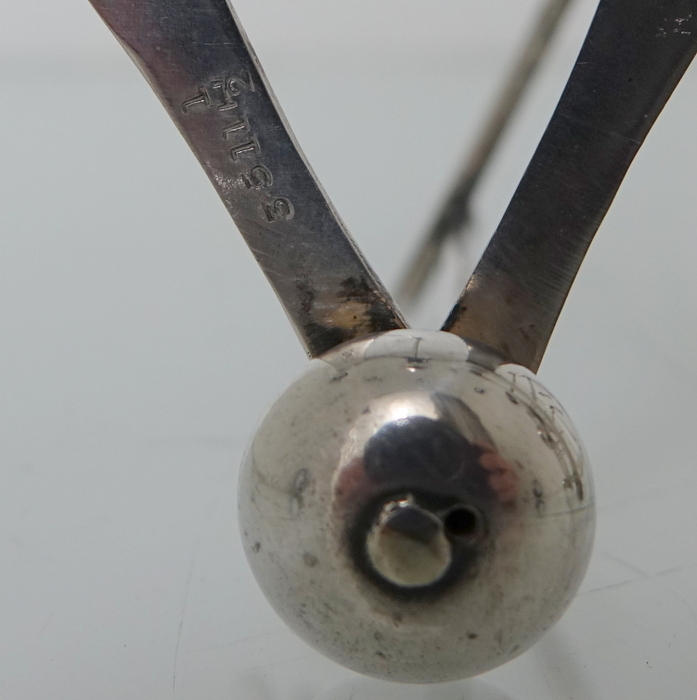 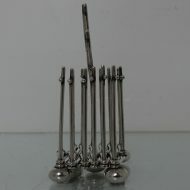 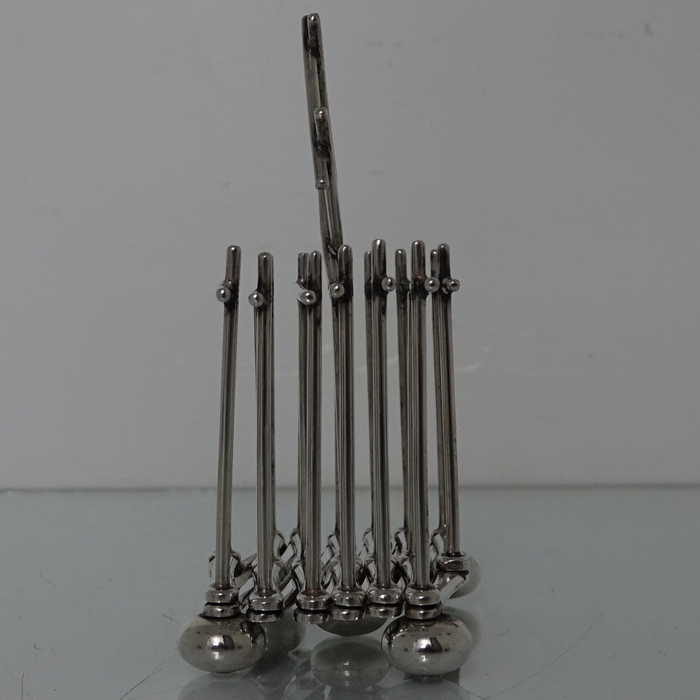 The toast rack sits on five elegant ball feet.